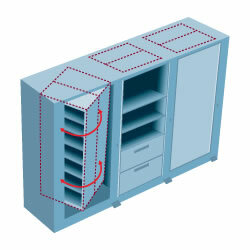 Our most popular high-density storage solution. The Rotary File storage system will give double the storage capacity in the same footprint. 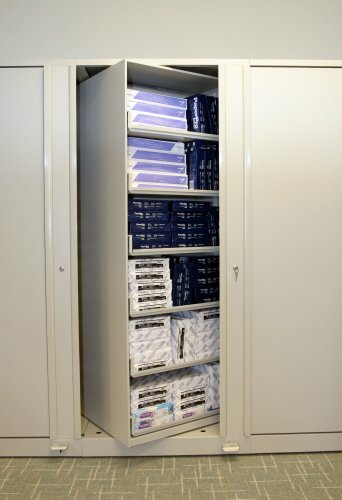 In fact, rotary storage cabinets provide up to 400% more capacity in the same floor space as traditional drawer files. Filing is easy from either side of this double depth filing cabinet. 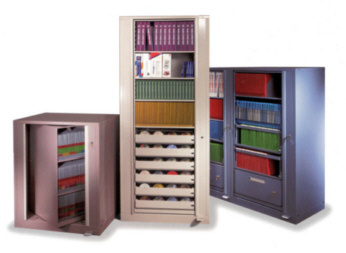 Rotating file cabinets offer increased access to files while reducing space requirements. The double depth design allows the rotary files to provide a far greater filing efficiency and capacity than lateral, vertical, or any single depth storage unit. Store the same material in half the space. 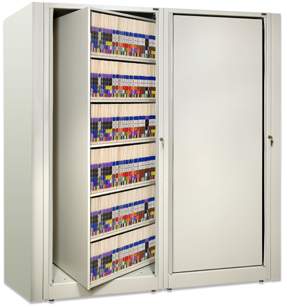 Our rotary file cabinets are HIPAA compliant. 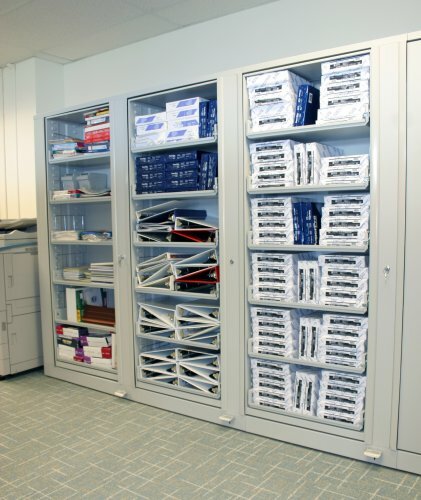 Outstanding versatility is a major benefit of rotary storage cabinets. You can customize them to meet your individual storage needs. Store any type of media, including the following: end-tab files, top-tap records, hanging files, binders, CD ROMs, tapes, and more. There are rotating file cabinets for letter and legal sizes. 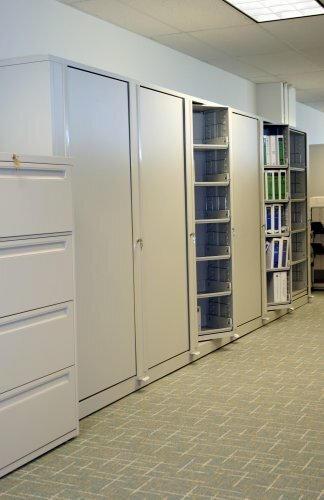 Our rotary file cabinets can be built into an alcove, used as room dividers, configured back-to-back to maximize capacity and save more space. Units can also be installed through a wall or panel and a closed back can be added to the unit to provide extra security. Would you like to learn how to utilize the Rotary File in your office environment? Contact a Franklin Mills systems specialist at 1-888-678-4585. Contact the experts at Franklin Mills for assistance in determining the best method for your delivery at 1.888.678.4585.